Motion Medicine, LLC is a distributor of [health and wellness products]. Agents: The Company may transfer, disclose, or share with third parties who may be engaged by us specifically to handle and deliver certain activities (e.g., message boards, newsletters, etc.) and perform other technical and processing functions, such as sending e-mail, removing repetitive information from registration lists, processing payments, programming, providing member services to our members, or otherwise operating our Site the personal information you provide to us. They have access to personal information needed to perform their functions, but may not use it for other purposes and have agreed to maintain the confidentiality of such information. To purchase products using the Site, a user must enter credit card information. Motion Medicine, LLC uses a third party for all payment processing. This third party collects all credit card information over a Secure Socket Layer (SSL) server connection and which is fully encrypted. Motion Medicine, LLC does not retain any credit card numbers. Email address, which is used to contact the member about products and promotions. Name and address, which is used to process credit card payment and enables Motion Medicine, LLC to gather demographic information about users and a ship-to address. If any of this information changes the user should make the appropriate change(s) on the My Account page. This information may be shared with our advertisers but never in a way that links this information to an individual member. Motion Medicine, LLC’s servers also automatically receive and record information from your browser, including your IP address, profile information, browser type, the time, assorted technical information, and information about the page you requested. These items are collected anonymously, do not disclose your name or personal identity, and are not otherwise linked or associated with any personally identifiable information. Motion Medicine, LLC also collects submitted information such as name and email address. 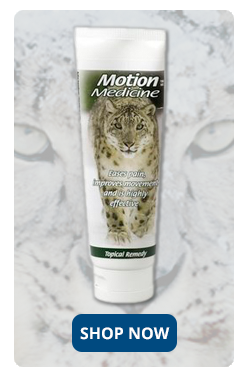 Motion Medicine uses the submitted information to send information about the products available on the Site. The Company uses the collected information to help evaluate and improve the Site and its services and manage the Site, track usage. The non-personally-identifiable information may be shared with third-parties to provide more relevant services and advertisements to members and users. Member and user IP addresses are recorded for security and monitoring purposes. The Company is committed to protecting your data from loss, misuse, unauthorized disclosure, or alteration. To achieve this, the Company operates a secure data network and a password protection system. Our security and privacy policies are periodically reviewed and enhanced as necessary and only authorized individuals have access to the information provided by our members. We use reasonable measures to protect member information that is stored within our database. However, we cannot guarantee the security of member account information. Unauthorized entry or use, hardware or software failure, and other factors may compromise the security of member information at any time. use the information to streamline the user’s transactions on related Web pages. This makes it easier for a user to move from Web page to Web page and to complete commercial transactions over the Internet. Cookies should make your online experience easier and more personalized. We use Web site browser software tools such as cookies and Web server logs to gather information about our Web site users’ browsing activities, in order to constantly improve our Web site and better serve our customers. This information assists us to design and arrange our Web pages in the user-friendliest manner and to continually improve our Web site to better meet the needs of our customers and prospective customers. 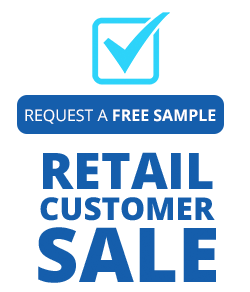 By registering with this Site, you consent to the Company’s collection and use of this information.